Cities are wonderful creatures to study, each unique in their own way but also sharing several commonalities. One of the most interesting facets to compare is public transit and how each city prices its use. While there is a huge spectrum in the size of different public transit systems, their bus/rail modal splits and their ridership, they do share many similarities and, to their passengers, all perform the similar function of getting you from A to B for a price. As it can be helpful to occasionally look outside of the bubble that is the Centre of the Universe (™), I first started looking at transit fares in Toronto vs other US and Canadian cities back in 2011. At that time, Toronto was clearly at the top of the charts for single fares, senior fares and monthly passes. 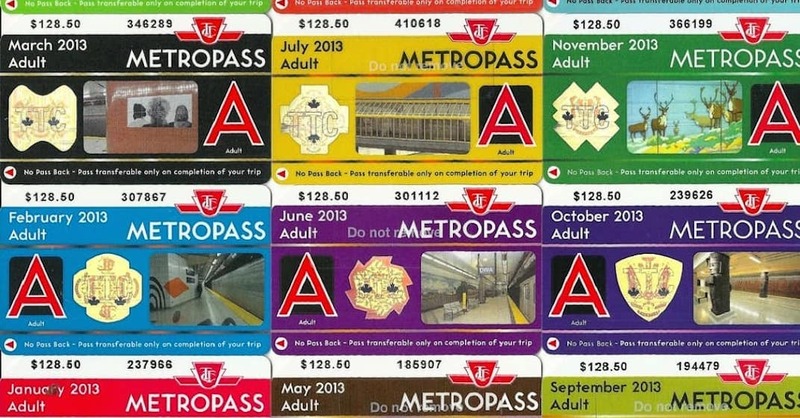 Things improved slightly in 2013, 2014 and 2016 as other cities passed fare increases, but Toronto remained a relatively expensive city for transit riders, especially for frequent riders buying passes. This status did not go unnoticed. The CBC in 2017 called out the costly Metropass as the 5th most expensive in the world, while Montreal’s transit agency made sure to highlight how costly TTC passes were in their 2016 fare increase press release. Ouch. Is this still the case in 2019? Meanwhile, when the Union Pearson Express came on the scene, many also looked at its predicted and then actual fares and found it to be the most expensive airport rail link in North America. The intense backlash and low ridership led to a slashing of pricing, and the line has been popular ever since. As the dust settled on UPX, many other cities have completed airport rail links of some kind (and more are coming), so how does UPX compare today? Some will discount these comparisons as being unfair and oversimplified, since cities and their transit systems are so different. After all, is it really fair to compare a super-integrated high-ridership system like the TTC (2.8M riders per day) to Hampton Roads Transit in Virginia (49,000 riders per day)? Or a small subway like Toronto (77 km) to huge systems like Chicago (165 km) or New York (394 km)? Or a city where light rail is still mostly streetcars (83 km) operating in mixed-traffic vs the modern ROW light rail systems in Dallas (150 km) or Denver (76 km)? Or Hogtown’s transit infrastructure, mostly more than 50 years old, vs brand-spanking new lines in places like Vancouver? It’s probably not fair at a micro level. But at a macro level, there are some parallels and interesting trends in transit fares that should be noted and may even help predict where the TTC is headed next. For example, past comparisons pointed out how expensive “discounted” (child/senior) fares were in Toronto. While Toronto is still oddly expensive for seniors (offering only 33% off instead of the usual 50%), it is now one of a growing number of cities where children under 12 ride free. And as noted above, UPX was so grossly overpriced that its later price adjustment was not surprising. A 2014 comparison highlighted Toronto’s lack of 2-hour all-direction transfers, something that finally came to Toronto in 2018. This 2019 comparison will look at these four categories of common and useful fares: Single-trip fares, day passes, monthly passes, and airport rail links. The TTC has announced that tokens will be discontinued and replaced with Presto cards. Photo by Jefferson Photography. In past years the single-trip comparison was largely about the cash fare, but as of 2019 almost all cities now use smartcards for their lowest-cost base fares. For this study I show the cheapest single ride (usually the smartcard fare), the smartcard fare plus a transfer, and a cash fare plus a transfer. As you can see above, the complexity of base fares and transfers can make this comparison difficult but the TTC is clearly still one of the more expensive fares. The TTC’s historic advantage of including transfers is no longer very distinctive, although several cities have surpassed TTC base fares since the 2011 study. If the Canadian dollar is factored in, the TTC is around the middle of the pack, but adding that discount is controversial since most TTC passengers are not U.S. tourists but earn Canadian dollars that are not inflated to match currency fluctuations. As U.S. minimum wages rise (New York State is now USD$15/hr) the difference may be even less. While day passes aren't always the cheapest, they are useable by multiple people on weekends. Photo from Jennifer Hollett. Once a rarity, day passes are now found in nearly every city, often in innovative ways. Phoenix includes no free transfers in its $2 base fare, but offers day passes at the low cost of $4 for frequent users. Portland’s HOP card caps at $5 for any given day, acting as an automatic day pass if you ride more than twice. Among large cities, only NYC offers no day pass, having dropped theirs in 2010 due to (and this is so very New York) too much abuse by scammers selling swipes to tourists. In the above chart, the results are quite clear. Toronto is one of the most expensive cities for day passes, much more costly than the U.S./Canada average of about $7. Even discounting for the Canadian dollar (which, again, may really not be appropriate), the TTC would still be 5th most expensive out of the 37 cities studied. On a positive note, this cost is softened somewhat by a Red Rocket day pass being good for entire families on weekends. The Metropass has been discontinued and replaced with a monthly pass on Presto. Image by @popcorns_views. The monthly pass is the gold standard of the cost of transit for frequent users, and as of 2019 are now offered by every large city except Houston (where perhaps it is not needed due to the low, low day pass cost of $3). While a monthly pass may provide more value in a city with a larger rapid-transit network and more frequent bus service, it’s still the closest thing to an apples-to-apples comparison we have. Once again, the TTC is by all measures atrociously expensive, the $146.25 pass being 70 per cent more costly than the average pass cost of $87. This is the cost on Presto's system, with a discontinued Metropass at the end of 2018. Academically applying the discount for the weak Canadian dollar, the TTC would still be the 3rd most expensive in the US and Canada. And that’s for a pass that is bizarrely and awkwardly tied to calendar months rather than just be 30 or 31 days from activation. Adding insult to injury, the TTC continues to make monthly passes unappealing by charging the equivalent of an astounding 49 trips/transfers per pass (trip index). The vast majority of systems hover in the 30 to 44 trip index band which is considered favourable to encouraging riders to buy passes (since the typical commuter takes two trips plus two transfers per day, 22 working days per month). Only New York, Toronto and LA dare charge more than 44 trips for a monthly pass. New York has a vastly larger 24-hour system that is more likely to be used on weekends and nights, while LA has a suddenly high trip index due to recently allowing free transfers in a system with a very low fare ($1.75) that historically charged a fare for each boarding. What is the TTC’s excuse? The UP Express received a serious price cut after many complained it was overpriced. Photo by Rick Radell via Union Pearson Express. Since so many large North American cities now have a rail connection to their airports, they've been folded into this transit fare comparison study. 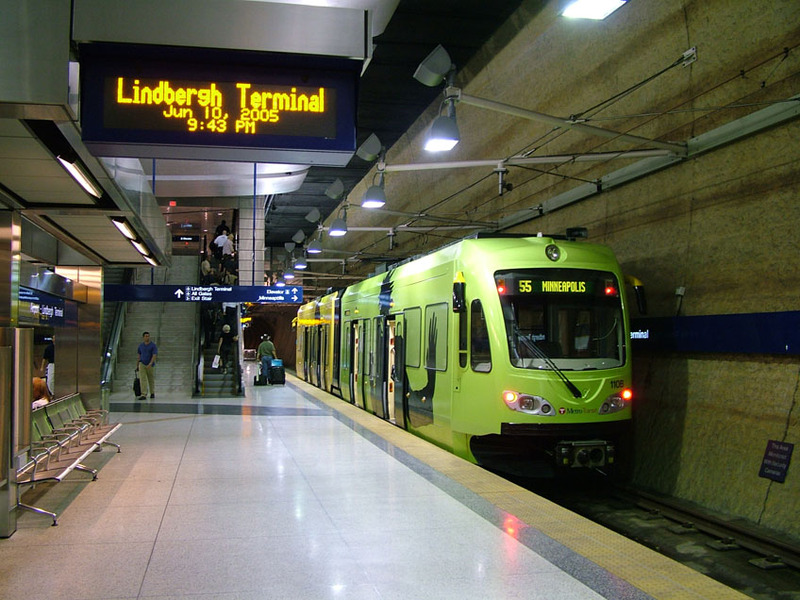 While there are certainly differences in terms of the quality of experience in riding a plush express train like UPX versus a multi-stop commuter train in Denver, or a sleek light rail in Minneapolis, or a crowded subway in Chicago, they're included here since, at the end of the day, these air-rail links are public transit that gets you from a city’s downtown to its airport with low cost and frequent service. Here, Toronto is once more in the top tier of fares. Discounting for the Canadian dollar makes this look a little better, and perhaps this is the one transit mode where worldly tourists may find that exchange rate to be advantageous, but then again they will likely be paying the $12.35 standard fare and not the $9.25 Presto fare. At least the comfy environs of the UPX and its limited number of stops add some value to that relatively high fare.. In conclusion, while there are many assumptions that can be challenged, and endless details to differentiate over, these charts do show a continuing disappointing standing by the TTC in 2019. On the whole this comparison suggests Toronto continues to have one of the most expensive transit systems in the United States or Canada. Perhaps the TTC will work around the margins to improve matters by, say, untethering monthly passes from the calendar. And of course, the Crosstown Line is under construction, adding more value to those expensive fares. But with subway uploading on the horizon and underfunding a chronic issue, it may be a while before the TTC fares compare better to their peers. Roozbeh Rokni. Written by Larry Green.